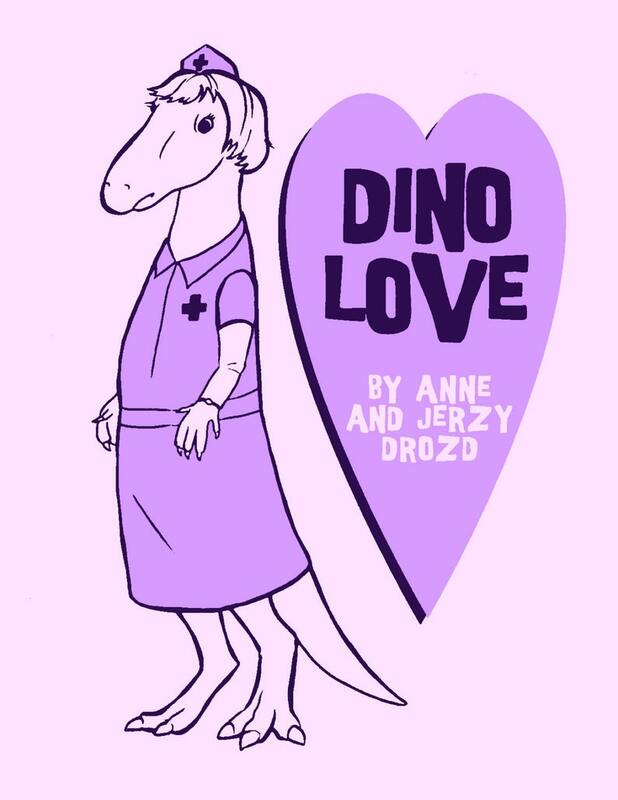 DINO LOVE follows the tribulations of the devoted nurse Ethel after she discovers her beloved Dr. Rex Mason in the arms of the venomous dino Charlotte. 8 pages, B&W, laser printed color cover on card stock. 4.25" wide by 5.5" tall.